If you start looking at fully optioned versions of the T6 or R-Design, be sure to take a step back and see what else you can get on the market for the same price. 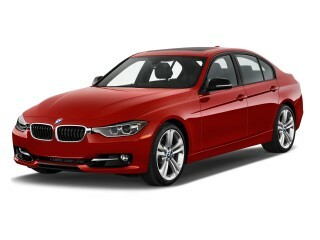 Over $45k, plenty of other luxury and sport-sedan options open up. The stylish 2013 Volvo S60 family spans the range from luxurious to edgy, all while hitting the mark for safety and top-notch interior design. The Volvo S60 appears to be a lot of things that Volvo never used to be. But at the same time you might say it's a brawny, good-looking, and handsome model for what Volvo is becoming. As such, the S60 lineup is design-centric inside and out, with class-leading safety, as well as performance that keeps up with some of the top sport sedans--even if it isn't quite as sharply honed. And underneath it all, yes, there are still the leading-edge safety features that has differentiated the brand all along. With its smooth contours and swooping lines matched up with a low, wedgy front and pert tail, then framed with large flashy alloy wheels, the S60 is indeed expressive in a way that Volvo never was in the past. Inside, Scandinavian design comes together with a little extra flamboyance to bring a cabin that's handsome and functional. Textures, materials, and design are far from ordinary, and the 'floating' center stack of controls pushes the Swedish design ethos into a hipper direction. Performance-wise, the S60 has its sights set somewhere between the likes of the Acura TSX, the Audi A4, and the BMW 3-Series. Now in the S60's third year, Volvo is rolling out yet more members of the S60 lineup; this time, all-wheel drive is offered in the base T5, making it available with any of the engines. Also new for 2013 is a retuned version of the base turbo five, with a higher compression ratio and peak turbo boost raised 15 percent. Last year Volvo rolled out an S60 R-Design model aimed at those who might just take their Volvo on the track once in a while. It offered a long list of performance upgrades, most importantly 'chipping' the T6 models' 300-hp, 3.0-liter turbocharged in-line six-cylinder engine up to 325 hp. In both the S60 T6 and R-Design models, the engine is smooth, strong, and sweet-sounding, with an uninterrupted rush of power when you need it. 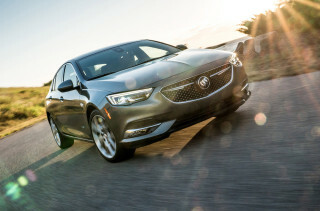 The only disappointment here is the six-speed automatic transmission, which doesn't always respond as quickly as you might hope for a sport sedan--and it lacks full manual control and paddle shifters. It's also worth pointing out that while the S60 is a blast to drive in T6 or even R-Design forms, it just doesn't feel quite as sharp as focused enthusiast sedans like the Nissan G37 or BMW 3-Series. The S60 is just a bit smaller than most U.S.-market mid-size sedans, yet it's a five-seater with true space for four adults. Front seats aren't quite the Volvo perches we like from other larger models; they're a little bit shorter in the lower cushions. But back-seat accommodations are surprisingly good for adults, thanks to some smart contouring. Factor in the quiet cabin and good ride quality and you have a true luxury-car feel--in all but the R-Design, which picks up more road harshness. The 4C dynamic chassis system in the T6 makes it the pick of the bunch for combining performance and comfort; T6 models get driver-selectable steering feel, too. The T6 R-Design throws that out in favor of a dedicated Sport suspension that's lowered and noticeably stiffer. In addition to all the expected safety features--such as front, side, and side-curtain airbags; anti-lock brakes; and stability and traction control--what sets the S60 apart is its safety technology. And there's a lot of it. Corner Traction Control directs torque across the car to enhance grip in aggressive maneuvers; a radar-based Pedestrian Detection with Full Auto Brake can identify and brake for pedestrians or other objects in the road if the driver doesn't give the system indication they're trying to avoid it; and there's even a new Road Sign Information system for 2013. From a base front-wheel-drive T5 model at less than $33,000, to a loaded S60 R-Design Platinum, which when loaded can approach $55k, the 2013 S60 spans a wide range, appealing as a safe, comfortable, tech-oriented sedan to some shoppers or a powerful sport sedan with some of the latest infotainment, convenience, and active-safety features to others. Overall, Volvo has changed the way that S60 models are equipped for 2013; they still come in T5, T6, and R-Design models, but Premier, Premier Plus, and Platinum guises determine the level of extras. Don't worry; there are still a few standalone options as well. 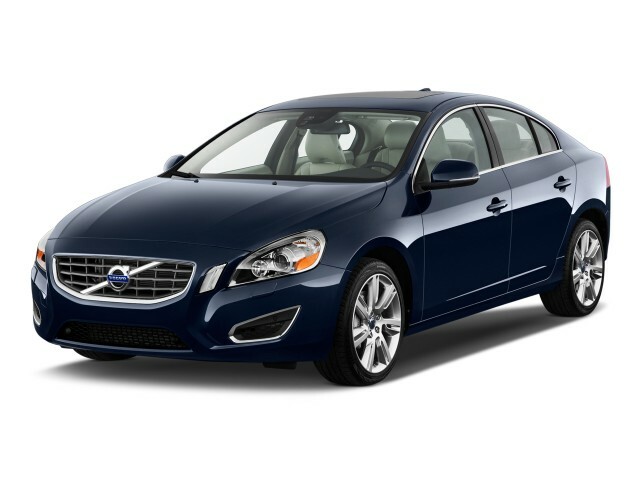 The 2013 Volvo S60 is sleek, aggressive, and modern on the outside--and very stylish inside. Take only a brief look at the S60, especially from any of the front angles, and you'll not only know it's a Volvo but probably also agree it's one of the most rakish, aggressive-looking Volvo models ever. With its expressive, organic details; smooth contours and sweeping lines; plus wedgy front and rear proportions riding on large, flashy alloy wheels, the S60 really does live up to the "looks dynamic while it's standing still" automotive-design cliche. Volvo's Swedish design ethos really shows inside, where the brand has taken textured surfaces and contrasting hues to a new level. Unique wood and metal detailing, along with the captivating floating center stack, really set a design direction inside. Up close it's stark and simple, yet somehow welcoming, with a dash material modeled after the rippled surface of water, and the two-tone elements extending to the upholstery, instrument panel, and material textures. The top-performance R-Design model sets an even more aggressive look inside and out. From the outside, the 2013 S60 R Design model somehow manages to make it look even more aggressive, with a rear diffuser, sport tailpipes, a spoiler, special wheels, and other R Design elements. The R Design gets its own theme, with a unique steering wheel, upholstery, and other trim items adding to the more track-oriented look. 2013 Volvo S60 T6 models provide strong, well-rounded performance, while R-Design models don't quite deliver the track-day chops they tease. For the most part, the 2013 Volvo S60 models deliver on the performance they suggest with their aggressive styling. Although even at the top of the performance ladder, the R-Design models might not quite deliver the sharp-edged performance weekend-racer types want. 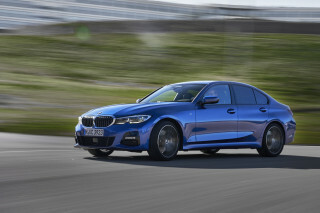 There's plenty to delight everyone else, though, and there's a solid lineup of turbocharged in-line five- and six-cylinder engines. And for 2013, the lineup of base five-cylinder Volvo S60 models grows larger with the introduction of new all-whee-drive S60 T5 models. The compression ratio has been upped and turbo boost is higher (16 psi), to allow 0-60 mph in 6.8 seconds with front-wheel drive--pretty quick for the base engine. The S60 T6 gets a 3.0-liter turbocharged in-line six-cylinder, rated at 300 horsepower and 325 pound-feet of torque. It feels even stronger than its numbers might suggest, and while it's disappointing that there's no manual gearbox available the six-speed automatic transmission and all-wheel drive pair for easy driving, fast acceleration, confident traction and great all-weather capability. These models can get to 60 mph in about 5.8 seconds. At the top rung is the S60 R Design, which essentially gets a 'chipped' version of the same turbo six good for 325 horsepower and 354 pound-feet of torque; and there's really no fuel economy or drivability tradeoff. To go with it, the R Design gets a unique tuned suspension system standard, offering crisper handling and sportier ride. There are a couple of disappointments related to the transmission, though. The S60 doesn't offer paddle shifters on the steering wheel, instead forcing those who want to shift manually to use the console-mounted lever; the manual mode also doesn't hold gears like you'd expect, unexpectedly downshifting on heavy throttle when you might want to use a lower gear. Even in its other variations, the S60 already steers and handles well, and a MyCar menu system that offers three different levels of driver-tunable assist for further enhancement. The S60 is a little heavier than it looks, yet it's nimble enough for hairpins and maneuverable enough for tight city streets. For 2013 Volvo has increased the front disc brake diameter of R-Design models, from 12.4 to 13.2 inches, which should address one performance issue we noted on the track. All considering, the S60 isn't quite a track-day sport sedan, even in its R-Design trim, where it still doesn't feel as sharp as you might hope. It's better-suited to the street, where it feels responsive enough, without making too many compromises. 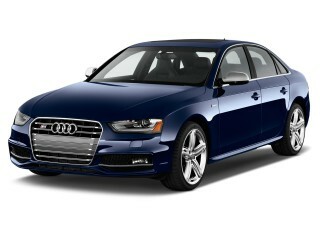 Considering the compact footprint and stylish roofline of the 2013 S60, it's remarkably comfortable and space-efficient. The S60 name makes this sedan sound like it's somewhere in the middle or toward the upper end of the range, but in truth it's barely mid-size, and actually closer to compact luxury models like the Mercedes-Benz C-Class or Acura TSX. That said, it makes good use of the space and has plenty of passenger room. The S60 is missing the longer (or extendable) thigh supports that some other Volvo models have, but otherwise the driving and riding experience in front is excellent. The back seat looks tighter from the outside than it actually is when you get in, thanks to good contouring for adults, and outboard positions that are 'scooped in' somewhat. Even though over six feet tall can sit back there, with enough legroom, and possibly enough headroom. Trunk space, as hinted by the tall rear deck, is abundant. Rear seatbacks fold forward and are 40/60-split, with loading ease quite impressive. Inside, it's a European luxury-car experience. The S60 isn't perfectly quiet, but wind, tire, and road noise are well-controlled. Touring, Dynamic, and Four-C Active Chassis options provide a wide range of firmness, and the available Four-C Active Chassis suspension enables Comfort, Sport, and Advanced modes for increased driver control. Excellent crash-test scores make safety assurances, but the advanced active safety onboard will help keep you out of trouble in the first place. Volvo has a very strong reputation for safety, and the S60 carries on that tradition--especially when you consider the impressive array of electronic assists and both active and passive safety features. Based on crash-test scores from previous model years--and the structure carries over unchanged for 2013--the S60 has excellent occupant protection. The S60 has earned top five-star ratings in all categories from the NHTSA (National Highway Traffic Safety Administration), and the IIHS (Insurance Institute for Highway Safety) has rated the S60 a Top Safety Pick, with top "good" ratings in all test categories. Some of the advanced safety systems are optional. The pedestrian system, Driver Alert Control, Adaptive Cruise Control, and Lane Departure Warning--along with the new road-sign system and active high-beam control--are all included as part of the Technology Package. Blind Spot Information System is available as a standalone option. Other add-ons that are likely to increase safety include front and rear camera systems, parking sensors, and active HID headlamps. 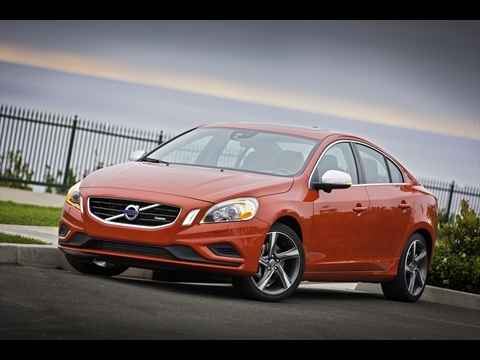 The 2013 Volvo S60 offers plenty of infotainment and cutting-edge tech features, but they can come at a steep price. From a base front-wheel-drive T5 model at less than $33,000, to a loaded S60 R-Design Platinum, which when loaded can approach $55k, the 2013 S60 spans a wide range, appealing as a safe, comfortable, tech-oriented sedan to some shoppers or a powerful sport sedan with some of the latest infotainment, convenience, and active-safety features to others. Overall, Volvo has changed the way that S60 models are equipped for 2013; they still come in T5, T6, and R-Design models, but Premier, Premier Plus, and Platinum guises determine the level of extras. Entry-level S60 T5 models include power accessories, cruise control, driver control interface, a trip computer, Bluetooth hands-free communication and Bluetooth audio streaming, HD Radio, USB/iPod/auxiliary input, CD/MP3 audio system, and more. For 2013 Volvo has added rain-sensor wipers, headlight washers, a tunnel-detection feature for the headlights, and new dual tailpipes for the base T5. Premier Plus models add leather, a power passenger seat, a garage-door opener, park assist, dual xenon headlamps, and a power moonroof, while Platinum models get Keyless Drive, a voice-control navigation system with real-time traffic, and a rear camera system. Heated rear seats are even offered on T5 models. Those features are roughly the same for T6 and R-Design models, although all T6s get the Personal Car Communicator, larger 18-inch wheels, and a few other items. Unique elements to the R Design include: interior and exterior styling, a sport steering wheel, diamond-cut dark gray alloy wheels, and of course the R Design performance upgrades. Throughout the lineup, a Technology Package includes a long list of active-safety items (including pedestrian detection with full auto brake, adaptive cruise control, and a new road-sign info system), all for just $2,100. Otherwise a climate package adds heated front seats, while rear heated seats and a blind-spot system are offered as standalone options. Other wheel options and Urbane Wood inlays are among other extras. Even considering the S60's luxury and performance status, its mileage is lackluster. The Volvo S60 models don't stand out among sporty compact sedans; and with the recent introduction of turbocharged four-cylinder engines from Mercedes-Benz and BMW, the S60 is now looking near the back of the pack with respect to fuel economy. With some significant changes to the base five-cylinder engine in the 2013 Volvo S60 T5 models this year, we don't yet have EPA numbers; but last year's base S60 T5 with front-wheel drive was the best of the lot, at 23 mpg city and 30 mpg highway. 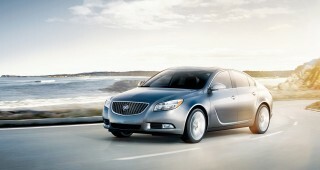 All-wheel drive models typically come in a bit lower. There's actually no penalty for the higher performance you get in the R-Design versus the T6. 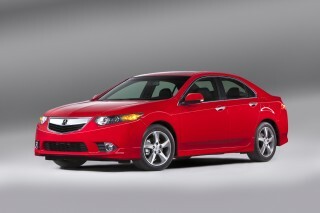 Both achieve 18 mpg city and 26 mpg highway in EPA testing, for 21 mpg combined.